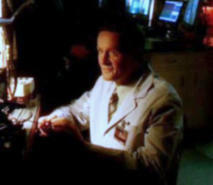 Norbert appears in this first season episode “Left For Dead.” He portrays a scientist who works for a scientific company that develops software used to track down specific chemical signatures that are used to make bombs and other explosive devices, particularly those used by terrorists on ships and other forms of transportation. 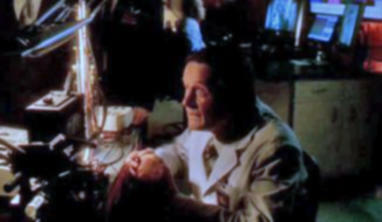 In this scene he is controlling a "sniffing" robot that is seeking out explosives on a mock up of a military ship. 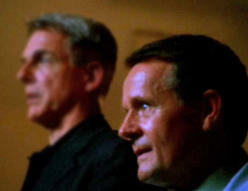 Mark Harmon stars in this series as Special Agent Gibbs. 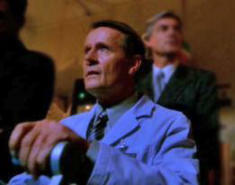 Also in this episode was Derek de Lint as the director of the software company. 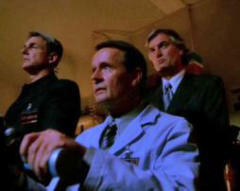 His character was implicated in the death of one of the firm's partners and the attempted murder of another scientist -- all part of a love triangle that he attempted to cover up. 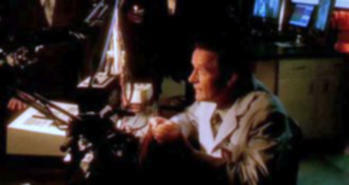 Norbert only makes a very brief appearance in this episode towards the end. 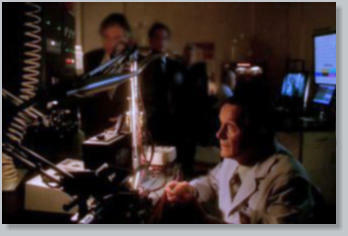 Norbert's character is operating a remote control robot as they test new specialized software that can identify precise chemical compounds, and tracks the planted bomb to its source. 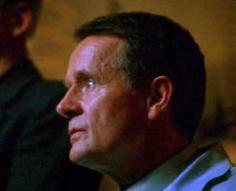 This episode is available on Amazon Instant Video.